Is there a cook or a grill-master on your shopping list? If you want to make sure they’ve got everything they need to keep stirring up the deliciousness you love, check out our Kitchen Essentials store cook! 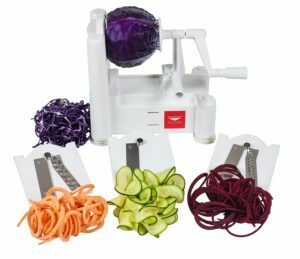 We love this spiralizer! Super-easy; incorporate more veggies in your meals! Authentic, hand-made, and 100% Copper… for the perfect Mule! Warp-resistant, heavy steel, hinged smoker with large wood chip capacity. Variable speed, large feed tube (less chopping! ), & easy cleanup. Classic Almond Cream, a nod to the one my mom gave me. A must-have for every serious chef. Stands the test of time and versatility! Incredibly versatile, fast, and spacious. More than a staple… a lifesaver! Super sharp & durable. 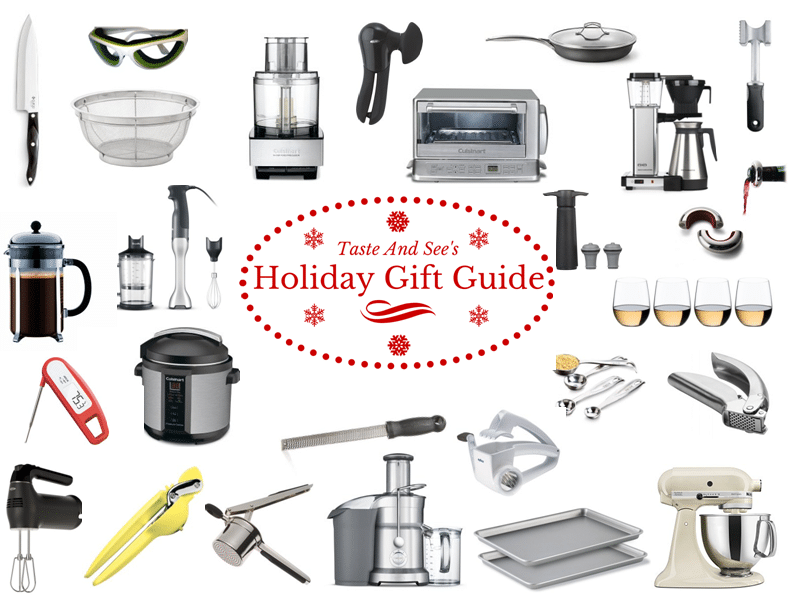 Petite Chef size is ideal, but any size would make a great gift. My new favorite kitchen gadget! Clear digital displays, & a variety of cook temps. 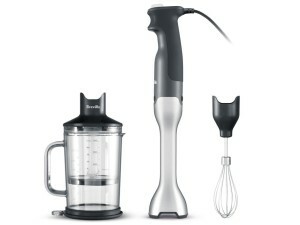 Best hand blender. Top performer as tested by Consumer Reports! From their “Unison” line. Provides plenty of room to cook without crowding. 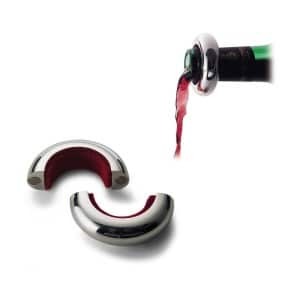 The Austrian wine glass engineered for the best possible aroma and taste. … and just in case you don’t have company, the 3-cup version. From Lavatools. Quick readout, clear digital display, comes in lots of fun colors! The cook in your life will drool at the sight of this press. Weird, I know- just trust me. I love this clever, easy-to-use fat separator from OXO Good Grips! From Philippi Germany. Keep those wine bottles from dripping onto your table! The gear on this model allows you to extract all that citrus with minimal strain. 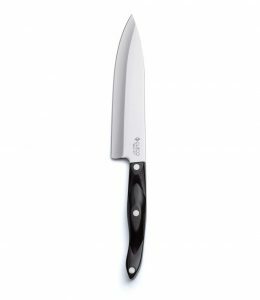 Has a flat side and a textured side, and the soft handle really absorbs the blows! “Smooth Edge” feature means no sharp edges are created. Easiest I have seen. “At the core of a well-equipped kitchen…” by Harold Import Co.
12 silicone markers; an amusing way to distinguish your drinking glass. Rotary cheese grater with stainless steel drum and sturdy housing. Creates fluffy, smooth mashed potatoes. Great for making gnocchi as well. Patented airtight seal that actually works to keep wine fresh! 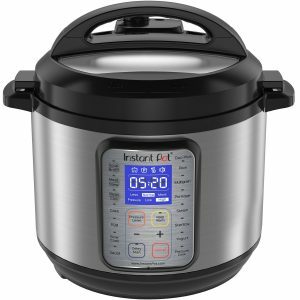 6.5-Quart stainless programmable cooker w/easy to read digital display. 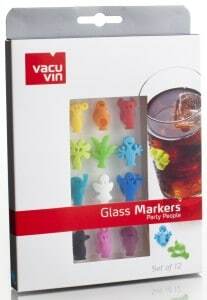 18/8 double-walled stainless steel, non-toxic, non-leaching & BPA free. Beautifully crafted HydroNet carrier from Gearproz. Beautiful Signature Dutch from Le Creuset, oven-safe to 500 degrees. 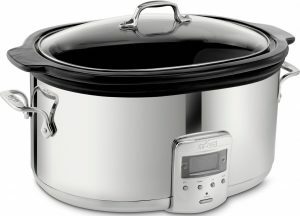 For cooking on all stove tops, including induction stoves. LCD control panel, preprogrammed food settings & dishwasher safe. 10″ skillet can sauté, sear, fry, bake & stir fry. Pre-seasoned & ready-to-use! Beautiful mixer with 5 speeds, lockable swivel cord, & beater ejector button. Festive thermos bottle! Cool to the touch w/hot liquids, sweat proof w/cold.